Nowadays, video sharing is popular on social media platforms. Most videos would need editing before it’s uploaded and shared with other people. Maybe you need to cut out a small part of the video or add watermark to the surface of the video. Anyway, a video editor should be able to help you edit in the video the way you want. Here in this post we will recommend to you 3 different video editors on Windows 7 for 3 different kinds of people. Some beginners of video editing might need a video editor that can give them what they need while keep things as simple as it can be. And Leawo Video Converter is that kind of video editor. 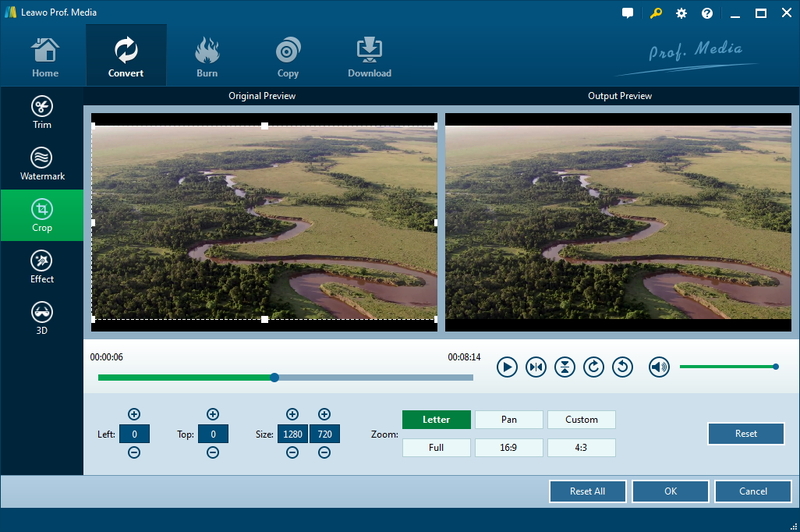 It’s a video converter itself but the built-in video editor allows users to perform video editing tasks like trimming, cropping, adding watermarks, etc. And despite all those features it got, it tried making things as simple as possible that even beginners can master the program easily. For users that don’t have much experience editing videos, this would be the perfect video editor to start with. 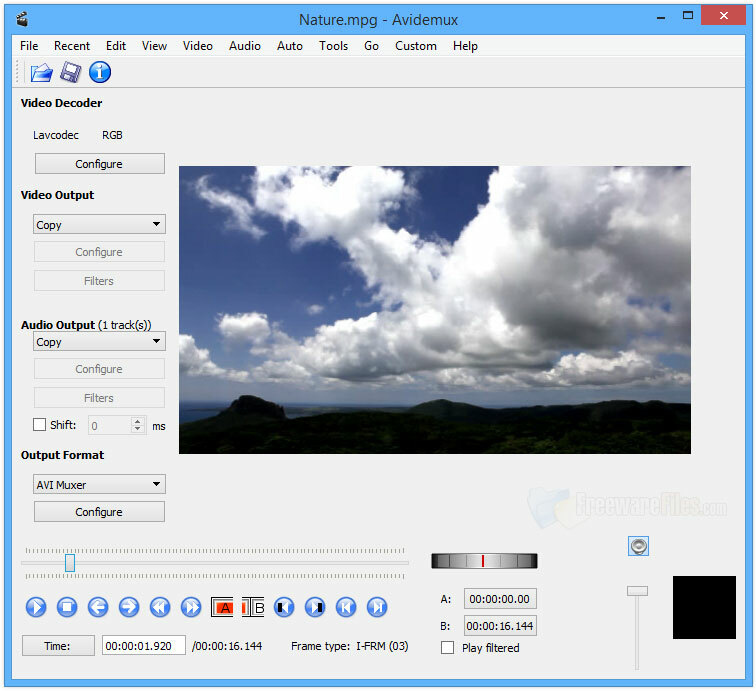 Avidemux is a free and open source video editor that runs on different platforms and Windows 7 is one of the supported platforms. It comes with a lot of video editing features that allows you to perform video editing tasks like trimming, cropping, resizing, rotating, flipping and more. Most thoughts are put into developing the features so the interface of the program might look a bit old-fashion. But nevertheless, it’s still a great video editor for Windows 7. If you want to challenge yourself with something difficult, try using a professional video editing tool and see if you can master the program. The professional level video editing software for Window 7 I’d like to recommend to you is Adobe Premiere Pro. Commonly known as the “Industry standard”, it’s one of the best professional video editing programs on the market. 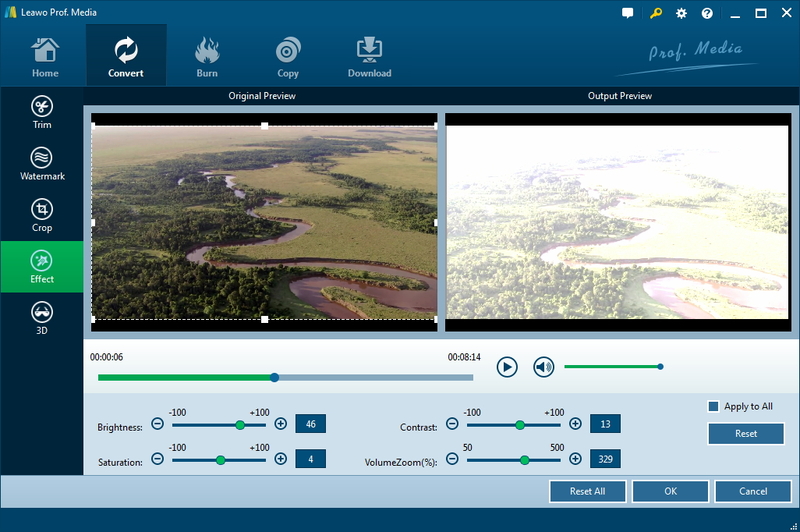 It’s a nonlinear video editor that has the ability to handle all kinds of video editing tasks you could possibly have for it. Also the program is well-known for taking advices from users and making improvements based on those advices. All those factors lead to a powerful and trustworthy video editing program. 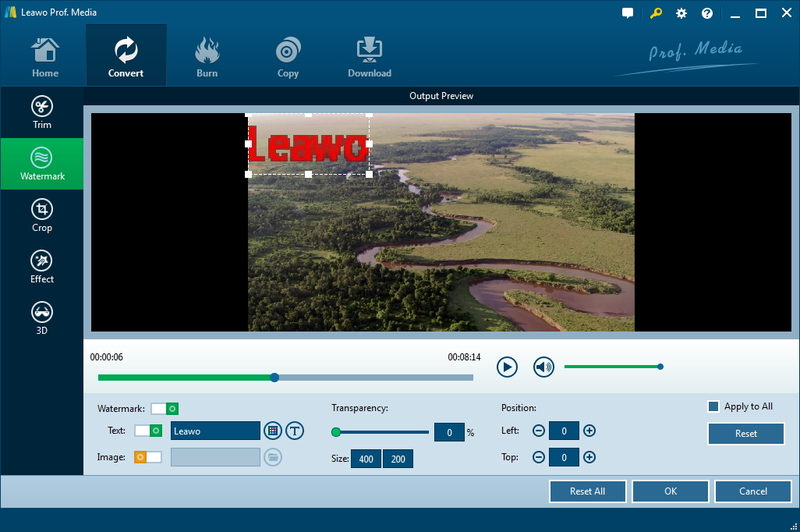 Here’s a quick guide for novices of video editing to learn how to edit videos on Windows 7 with a simple and user-friendly piece of video editing software: Leawo Video Converter. Here’s something you should know: Leawo Video Converter is now packed into a software suite that the developer called Prof.Media. So what you actually install on your computer is Prof.Media but the video converter and video editor is inside it. In order to use the built-in video editor, we first have to know how to open it. Here’s what you need to do to load the video editor. Open Prof.Media>Click Video Converter>Click Add Video and add videos you want to edit to the program>Click the Edit button on each video file to load the video editor. All video editing features are listed on the left side of the video editor. You can see 5 tabs on the left: Trim, Watermark, Crop, Effect, 3D, each of which represents different video editing features. Click on one of them to use the feature. To trim or say, cut a video, click on the Trim tab. The big preview window provided on the top of the interface allows you to play the video while trimming. It would allow you to trim the video more precisely. There’s a progress bar and a line under the preview window with two indicators on it. You can use the two indicators to set the start time and the end time of the video. They can be directly dragged on the line to set the two time points freely as you like. If you need, you can also enter exact time points in the Start Time and End Time boxes below to cut the video more precisely. Video cropping with Leawo Video Converter is also pretty easy. The program provides you with two preview windows. One is for cropping the video and the other is for showing the cropped video image. The dot frame on the left window can be used to crop the video directly. You can enlarge or cut the video with the dot frame and the changes will be instantly viewable on the preview window on the right. You can also adjust the size and position of the cropped area using the boxes below the window. Also the buttons below the right window allows you to flip and rotate the video. A lot of people use watermark to mark their video productions, thus it’s a frequently used feature for certain people. 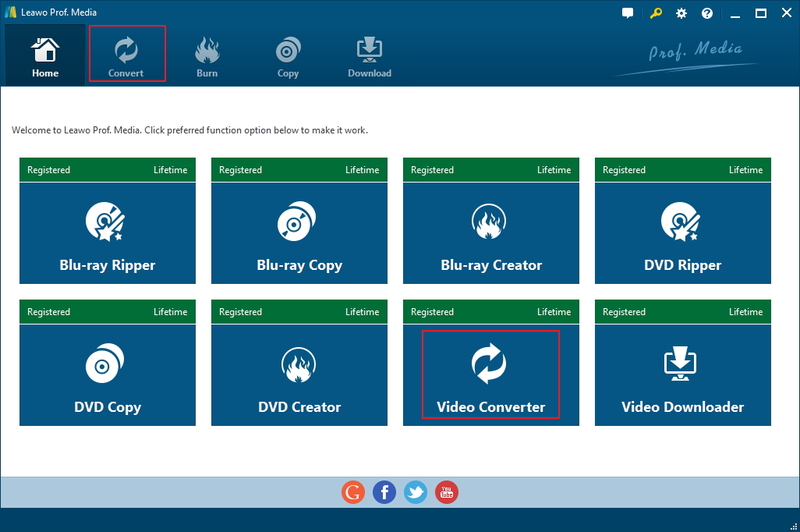 And Leawo Video Converter also offers this option to you. You can add text or even image to your video. The related buttons are shown in the picture below. You can also adjust the position, size and transparency of the watermark. In some scenes of a video, some video effects might need to be changed, and guess what? 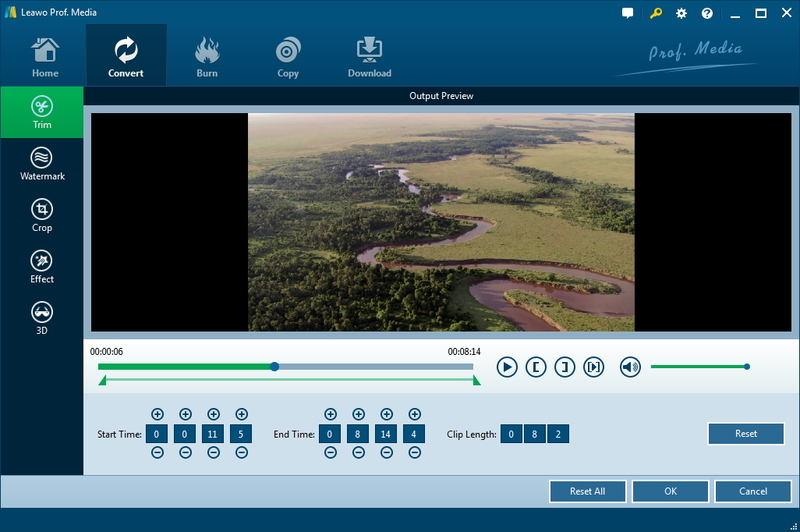 You can also adjust some video effects with this video editor for Windows 7. The video effects provided to you are Brightness, Saturation and Contrast. And the volume of the video can also be adjusted with it. 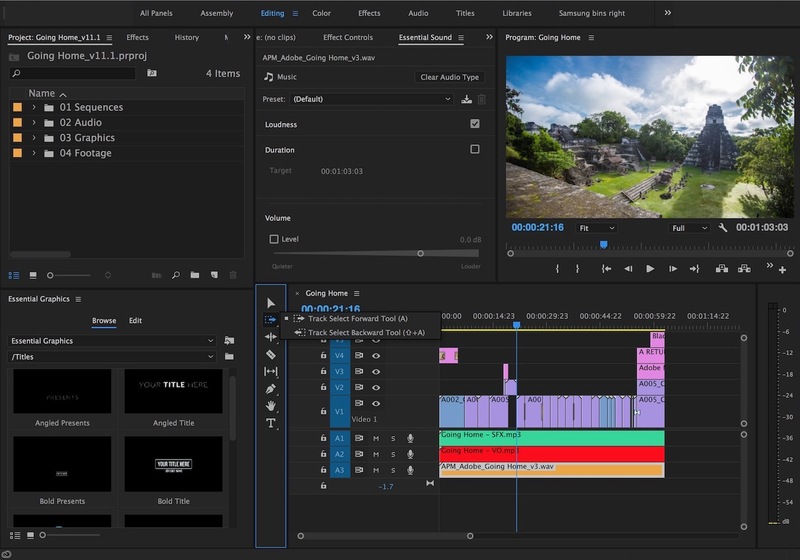 This is a video editing feature that could knock your socks off. The program is capable of applying 3D effects on 2D videos. You could find 6 different 3D modes on it. 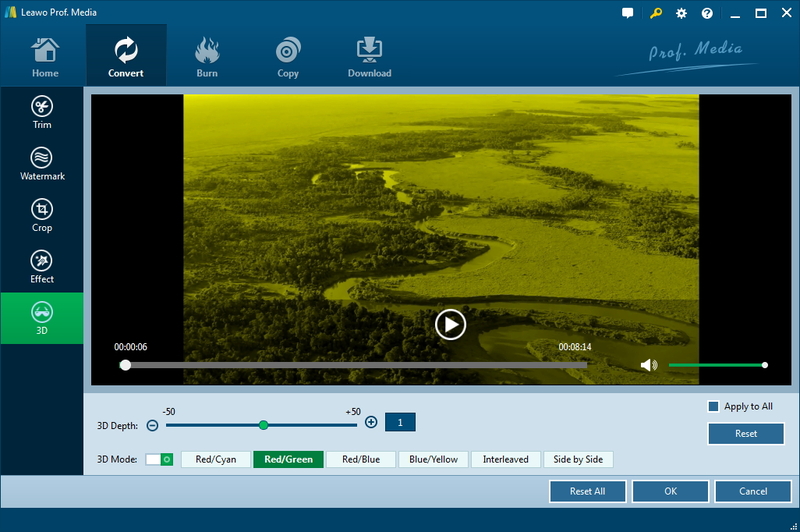 Click on each one of them to preview the effects on the preview window above and pick the suitable 3D effect for your video. That’s how to edit videos on Windows 7 with the most user-friendly video editor for Windows 7 you could find. Now a lot of users have updated their operating systems from Windows 7 to Windows 10, so you might want to know the best Windows 10 video editors for beginners.